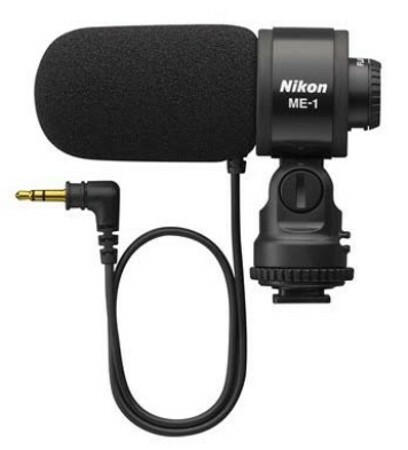 Dedicated stereo microphone designed to expand the sound recording capabilities of compatible Nikon cameras. A smart alternative to a camera’s built-in microphone, it suppresses unwanted operational noise such as autofocus to let you capture movies in superb stereo sound. A windscreen and low-cut filter switch prevent interference from wind or low-frequency noise and it boasts a short body for comfortable operation when shooting. Unidirectional stereo microphone:records high-quality stereo sound. 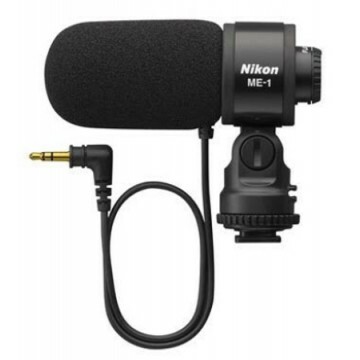 Compatible with Nikon D-SLR and COOLPIX cameras that have a 3.5 mm connector for external microphones. Length of cable Approx. 300 mm/11.8 in.